The Corporate India, as we know is growing exponentially in almost all the aspects of life, both professional and personal. Some may disagree on the part of personal life, which can be due to various reasons and arguments, so strong that they will win the debate even with the pawn. Though the professional lives have seen tremendous change, on the positive side of the comparative scale, right from work culture to employee engagement activities, but in between of all these the personal life seems to have taken a back seat. We cannot say that there is a disorientation, but for reasons unknown, one prioritizes the professional commitments. There are very few who have achieved an impeccable balance between the two, but the question, how, still remains unanswered. 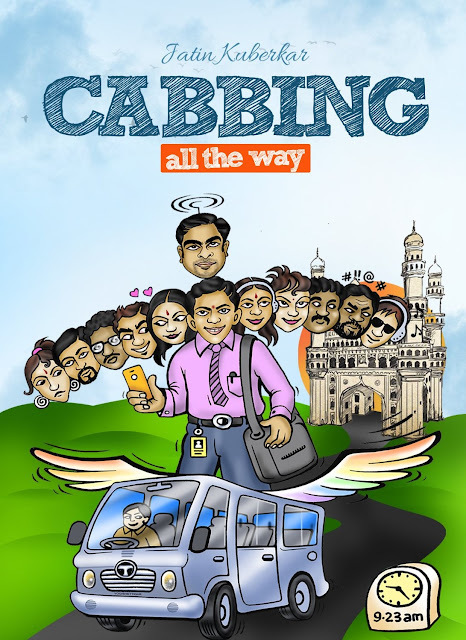 I recently read, Cabbing All The Way, a book by author Jatin Kuberkar in which he writes about one of the most common problems of the corporate India. Any guesses? I can see you already making a huge list, wait! In Cabbing All The Way, Jatin has woven a story around the commute that the corporate India needs to do to reach their workplace and vice versa. Everyone knows about their time to reach work, but only a handful know the vice versa part. You can call Cabbing All The Way, a tribute to the travel one does to reach work, on time and every time. Cabbing All The Way is a quick read about the problems that most of the working people face while traveling to and fro from work on a daily basis, the amount of time spent traveling instead of devoting the same for the personal life. The entire story is about the planning done to solve the problem of commute, from the point of view of time and money. It is interestingly divided into various phases like the planning done in organizing the transport service which will reduce the cost of daily traveling, will save time and add convenience to their traveling. It is the shared transport that the colleagues think of organizing among themselves. Another important part of the story is the agreement part of every single individual involved, imagine convincing everyone to be on time, every time. As the story of Cabbing All The Way moves ahead, it talks about the most important part, which the execution of the agreed plan. But the things don't halt at the execution, the iterations in the plan, the addition and the deletion of the people who share the cab. The changes of route, the formation of rules called the Constitution of the Cab and the burst of frustration have been depicted with a slice of humor. The story is the set in Hyderabad, so by default Biryani is talked about, the usage of local language in certain places is interesting. The nuances of our daily life like the traffic, the flirting, the slangs which are coupled with the subtlety of human nature and their responses, their adjustments and their time management skills. Somewhere, it also gives out the message of team work and dedication, depends on how you perceive it. Cabbing All The Way is about twelve people with different opinions, different mindsets and different pickup points, you will easily identify with all of the twelve people, as they are picked up from our daily corporate life. Overall the the writing of the book is very simple, easy to catch up with no philosophy, clear and straightforward message. One thing that I didn't like about the book is that it fails to keep you engaged throughout, you engage with the book in bits and parts, it becomes repetitive in places, but the tiny dosages of humor at regular interval covers up for that. 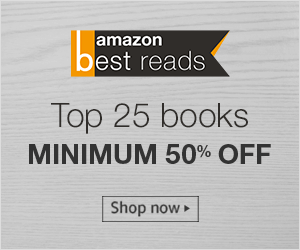 I would recommend this book to anyone interested in a quick and simple fictional read that revolves around the life of people who live to work. Thanks for the review :) Cheers!